Atelier La Juntana Present the International Summer Workshop "Modelmaking in the Digital Age: From Craftsmanship to Automated Production"
Atelier La Juntana, in collaboration with the Architecture Official College of Cantabria and the Polytechnic University of Madrid, is organising the second edition of the summer workshop “Model Making in the Digital Age” for architects (both students and professionals) willing to investigate and discover different techniques and materials, while developing an architectural model. The workshop will particularly observe the relationship between traditional craft and digital design. Led by architects Armor and Nertos Gutiérrez Rivas, along with interdisciplinary artist Daniel Gutiérrez Adán, the next workshop will take place at Atelier La Juntana, located in Santander, from the 11th to 17th of July 2017. Both beginners with little prior experience and those with specific professional interests are invited to participate. The course is recognised by the Polytechnic Architecture University of Madrid as part of the University Programme, and students are granted 2 ECTS (European Credit Transfer and Accumulation System) upon completion. Society teaches us how to use a product, education instructs us on how to design it, and our imagination pushes us to innovate, but who teaches us how to manufacture? What does making involve in the twenty-first century? What is the meaning of craftsmanship in the Digital Age? The Architectural Model as a Key Part of the Design Process. Far from being overshadowed by the digital era, physical models reclaim, today more than ever, their place as a key element during the architectural process: from urban to interior design, public consultations and exhibitions, and even for interaction with the visually impaired. Utilised throughout all the phases of the design, from the early stages to final 1:1 scale mock-ups, physical models help us to visualise ideas, explain concepts, foresee problems and investigate solutions. Understood as an element on the borderline between craftsmanship and digital production, architectural models combine art and technical skills, reaching a result which is not a mere reproduction of the idea, but a unique creation itself. This workshop is an introduction to the world of Model Making, embracing its different applications, scales, materials and techniques, while encouraging the research and discovery of new ways of making and representing the architectural model through a combination of fine arts and digital production. Craftsmanship of the Digital Object. The impact of an information society, presumably dehumanised, makes us reconsider the role of craftsmanship as a human action. To what extent can the process of making help us confront the lack of identity and increasing dehumanisation of modern production? In the Digital Era, the everyday object is masked behind a technological veil, which places the product in a world foreign to our own, transforming the object into a standardised catalogue option to be used and discarded without us being part of the making process. To preserve the essence of objects, it seems necessary to understand the process behind them. It is learning from this process, and not the end result, which provides us with the necessary tools to comprehend the “why” and “how” of production techniques, allowing us to choose, recreate and improve the learnt method in our future practice. The course is taught across a series of short exercises combining theory and practice, through which students are challenged to solve a given brief by means of making. 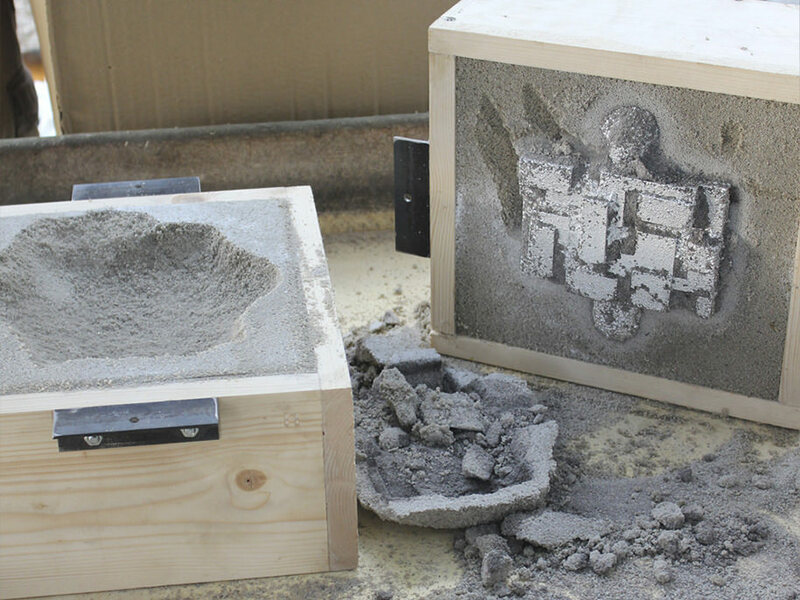 Varying in scale and duration, the exercises will be conducted through direct experimentation and manufacturing, and will include techniques such as embossing, etching, carving, moulding, and casting, making the students aware of the production time and process. 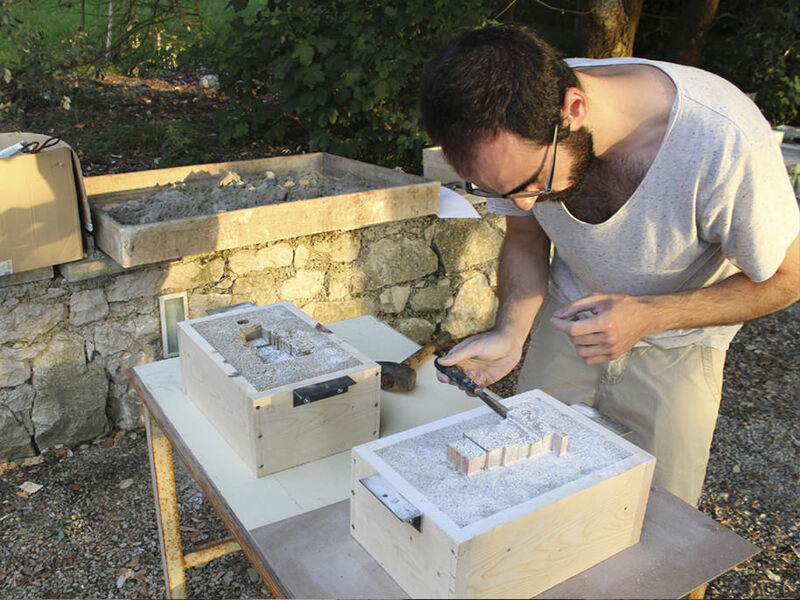 -Investigating different techniques, tools and materials to produce architectural models, mock-ups and prototypes. -Connecting the creation methods of architecture and art with digital design and automated production. -Exploring the border between architecture, fine arts and product design, while encouraging work in the overlapping areas. -Enabling a sensorial experience through direct contact with materials, tools and handling. -Encouraging the exchange of ideas and experiences between students from different backgrounds, in an openminded research environment. Atelier La Juntana is a group of architects and artists developing architectural models in an international framework. Through a wide collaborative experience with various architectural practices and public institutions, their work is grounded on accurate and rigorous, yet always creative, production. Using a balanced mix of art and technical skills, their work combines the precision of architectural design with remarkable (innovative or handcrafted) materials and techniques. Therefore, the result is not a mere reproduction of the designed project, but rather a unique interpretation, enhancing the ideas and qualities behind the architectural creation. 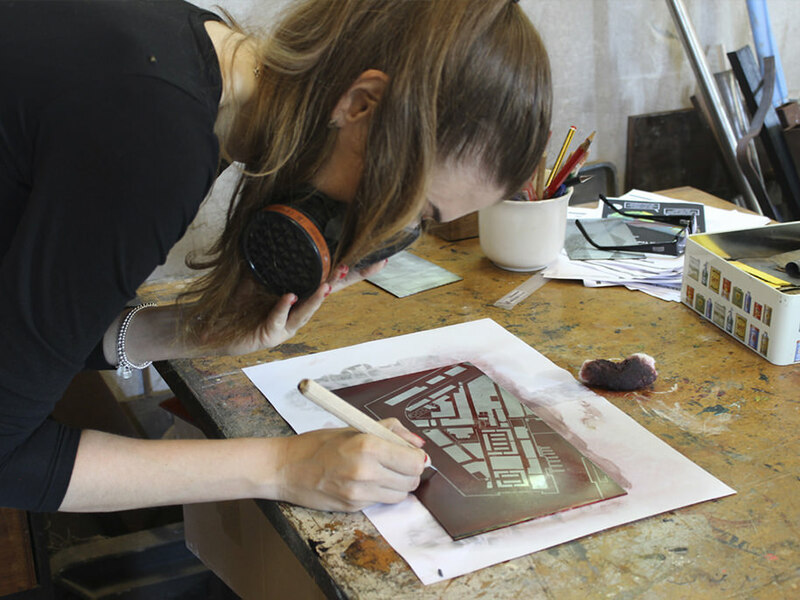 Traditional processes used in fine arts, such as acid etching, casting resin copies, silicone moulds and embossed paper, are combined with cutting-edge manufacturing and prototyping techniques. Likewise, 3D printing and the laser cutting process reach a high aesthetic and visual interest, while keeping accuracy and precision, both on an urban scale and on a 1:1 scale of detail. 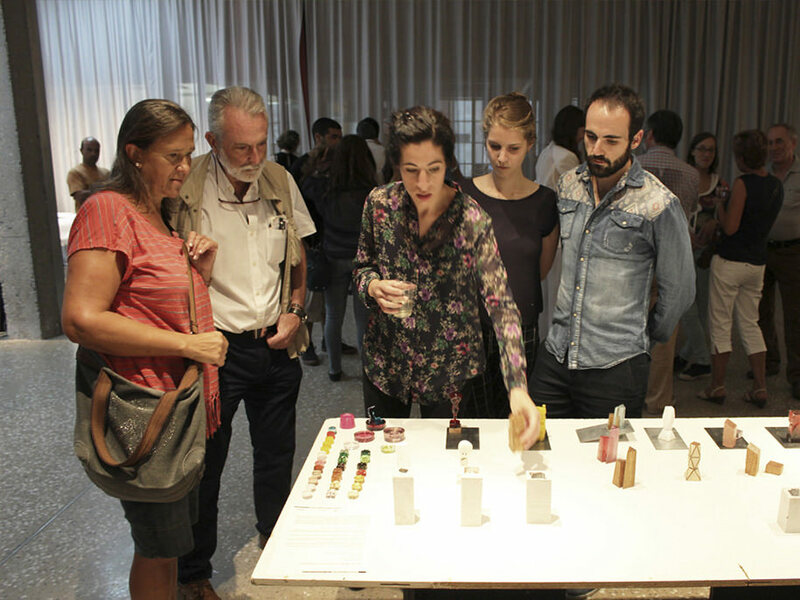 Over the last 10 years, the group’s work has been exhibited worldwide on numerous occasions, such as at the Architecture Official College of Madrid 2008, the 12th International Architecture Biennale in Venice 2010, the Cité de l´Architecture et du Patrimoine de Paris 2012, and the Architecture Official College of Cantabria 2014. Read more stories about Atelier La Juntana on Archisearch.gr here!